Munck lives in Mission Viejo in Orange County, California, where he was born. He is the oldest of five children of Kymbry (née Robinson) and Greg Munck, an executive pastor at Crossline Community Church in Laguna Hills. One of his brothers, Ethan Munck, played Gibby's 8-year-old brother Guppy in five episodes of iCarly. In fall 2014, Munck was accepted to and began attending Biola University as a cinema and media arts major, before eventually dropping out. 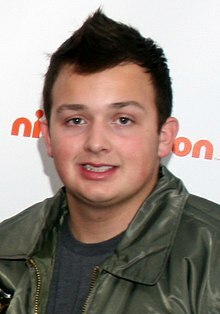 In 2007, Munck began a recurring role on the Nickelodeon television series iCarly, as one of Carly, Sam and Freddie's friends Gibby, for three seasons. In 2010, Munck was added to the opening credits of the fourth season of iCarly, officially making him a part of the main cast. Proposals were put forth in 2013 for a TV series called Gibby, a spin-off of iCarly that would star Munck. The series was to star Gibby working at a recreational center where he mentors four middle-schoolers. In 2011, he was nominated for the "Favorite TV Sidekick" award at the Kids' Choice Awards. Munck also produces electronic dance music under the name NoxiK. He released his first song, "Beginnings", on January 20, 2012. Since then he has begun to release songs he created to his YouTube account. He released a small EP called Hotline on April 23, 2013. On December 21, 2013, NoxiK released a single entitled "Killjoy" on SoundCloud and YouTube. It was re-posted on SoundCloud by EDM.com and has become one of his most successful singles to date. He released his first official EP titled Road Warrior on March 24, 2014. As of October 2017, the project has been inactive. However, he has put songs out on another SoundCloud account, named SADWORLDBEATS, and has been frequently releasing music from that account. On October 9, 2016 Munck started Sadworld, a YouTube channel dedicated to "weird, absurd" and experimental comedy sketches. The videos have a distinct editing style, described as "an amalgamation of images, glitches and sounds designed to overload viewers’ senses." Munck is an active supporter of Camp Del Corazon, a summer camp on Catalina Island, California, for children with heart disease. 2007 All of Us Player #1 Episode: Let's Go, Bobby, Let's Go! 2009 Phineas and Ferb Xavier Voice role; episode: "Phineas and Ferb's Quantum Boogaloo"
2010 Rules of Engagement Mackenzie Episode: "The Score"
Victorious Gibby Crossover episode: "iParty with Victorious"
2014 Sam & Cat Gibby Episode: "#SuperPsycho"
^ Soundcloud, NoxiK's sounds on SoundCloud - Hear the world's sounds, reference added January 15, 2013. ^ a b "iCarly actor started a YouTube channel to explore weird, absurd comedy". Polygon. October 13, 2017. Retrieved October 19, 2017. ^ Larsen, Peter (June 11, 2011). "O.C. kids are all right on 'iCarly'". The Orange County Register. p. Show Saturday 3. ^ "About". Noah Munck. Retrieved July 11, 2011. ^ "'Gibby,' from 'iCarly,' has a real heart". Retrieved July 11, 2011. ^ a b c d "NoxiK's Spotlight page on SoundCloud - Hear the world's sounds". Soundcloud.com. Retrieved 2013-05-25. ^ Amy Farnum, "Raising funds for Camp del Corazon", NCAA News, February 11, 2011. ^ "Noah Munck Releases First Dubstep Song "Beginnings" | Nickelodeon News". Nickutopia.com. 2012-01-20. Retrieved 2013-06-02. ^ "30th Annual Young Artist Awards". Young Artist Awards. ^ "Nickelodeon Kids' Choice Awards 2010 Winners List & Orange Carpet Video!". Take40. Archived from the original on 2013-09-26. ^ "2011 Nickelodeon's Kids Choice Awards". Nick KCA Press.